Pus on the gums is closely related to a condition called a tooth abscess and can be initiated by periodontal disease. Abscesses cannot heal on their own, medical treatment is done to dry up abscesses, disinfect them with antibiotics, make a canal to the root of the tooth, to pull out the infected tooth. Pus is a thick liquid that contains cells, bacteria, and dead tissue. Pus is usually yellowish white, brownish yellow, greenish, or yellow, and sometimes foul-smelling. The appearance of pus due to certain areas of inflammation when an infection occurs. This inflammatory reaction is the body's natural reaction to fighting infection. Pus on the gums usually comes from a tooth abscess. Abscesses are generally caused by bacterial infections and cause throbbing pain. Poorly maintained oral hygiene and lack of care on the teeth, make the teeth easily perforated and infected with bacteria. The growth of bacteria that is left behind will cause infection in the teeth. This infection will spread to the area around the gums and there is a collection of pus in the gums. Bacterial infections can occur in the gums, tooth roots, and supporting teeth. Infection and inflammation of the tissue around the teeth that causes gum disease, this can be the cause of the appearance of pus on the gums. Gum disease often causes the gums to become slightly detached from the teeth so that pockets form which can be filled with bacteria and develop to form abscesses. Periodontal abscesses can develop as a complication of injury to the gums or tissue around the teeth, which causes injury. This gum injury is easy to get infected because food or dirt that is involved and embedded in the gums can make the germ grow well. People with weakened immune systems, suffering from diabetes, or undergoing chemotherapy treatment, are more prone to developing dental abscesses and pus on the gums. If the pain is unbearable, you can take painkillers such as paracetamol that can be purchased freely. However, some people need painkillers that are stronger and can only be obtained by prescription. After the pus has dried, generally the symptoms that are complained will soon disappear. Pus on the gums can be treated by draining pus from the gums to dry by piercing the abscess or by making a small hole in the tooth so that pus can flow out. After that, it is also necessary to clean the pus bag on the gums. This step must be done by a dentist. The dentist is also likely to give oral antibiotics that must be taken for several days to deal with the overall infection. If pus has not yet disappeared and the abscess does not heal within a few days, it is recommended to immediately consult a dentist again. To prevent pus bags from rupturing, avoid eating hot or cold foods and drinks that can make the pain worse. Eat soft foods, and chew food using the side of the mouth that is not infected. Don't forget to use a soft toothbrush and avoid doing dental flossing on the area of the teeth and gums that have infection or pus on the gums. Meanwhile, if the abscess breaks before you have time to go to the dentist, immediately rinse with warm water to clean the mouth while pushing the pus out completely. Pus on the gums that do not get proper treatment can trigger several possible complications, such as the formation of a channel between the location of the infection and the skin or mouth which can expel pus continuously. In addition, pus on the gums that are not handled properly can lead to sinusitis, fluid-filled cavities in the teeth (dental cysts), and bone infections near the infected gums. It is very important to immediately see a dentist if there is pus on your gums or if you find an abscess in the mouth. In addition to treating, also to prevent complications. Pus on the gums due to abscesses can be avoided by maintaining good oral hygiene. Make it a habit to brush your teeth regularly, and if necessary, flossing using dental floss. 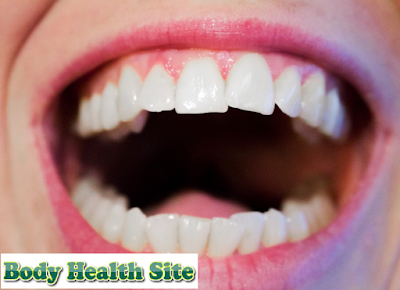 Keep your mouth clean, including cleaning your tongue and applying a healthy diet. Avoid consuming drinks or foods that contain lots of sugar, and quitting smoking are some actions that can improve your oral health. If the teeth appear to be damaged or there is pus on the gums, consult a dentist immediately, so proper treatment can be given to prevent dangerous complications. Also do a dental check regularly at least once a year. 0 Response to "How to treat pus on the gums"
What is the normal blood sugar level in the body?